I-Vice Ganda Mo 'Ko sa Araneta Concert 2013 will be held at Araneta Coliseum in Cubao this coming May 17, 2013. This will be Vice Ganda third major solo concert with so many specials guest. First in the list is actor Daniel Padilla, followed by actors Enrique Gil, Paulo Avelino, then actress Dawn Zulueta, singer Regine Velasquez and the PGT judge / comedienne-actress Ai Ai delas Alas. This Vice Ganda 3rd solo concert is a follow up of his successful concerts in 2011 and 2010, which were also held at the Araneta Coliseum "Big Dome". You can now buy your tickets before its too late. just visit the ticketnet.com.ph or call the hotline number 911-55-55. 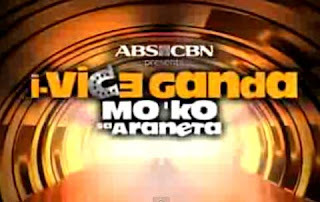 Watch here the Vice Ganda concert 2013 teaser! For the meantime, If you like this information, please bookmark it now or visit this site more often for you to be updated. You may also share this post to your friends so they may know about I-Vice Ganda Mo 'Ko sa Araneta Concert 2013. Comments or suggestions about "I-Vice Ganda Mo 'Ko sa Araneta Concert at Big Dome May 17, 2013" is important to us, you may share it by using the comment box below.